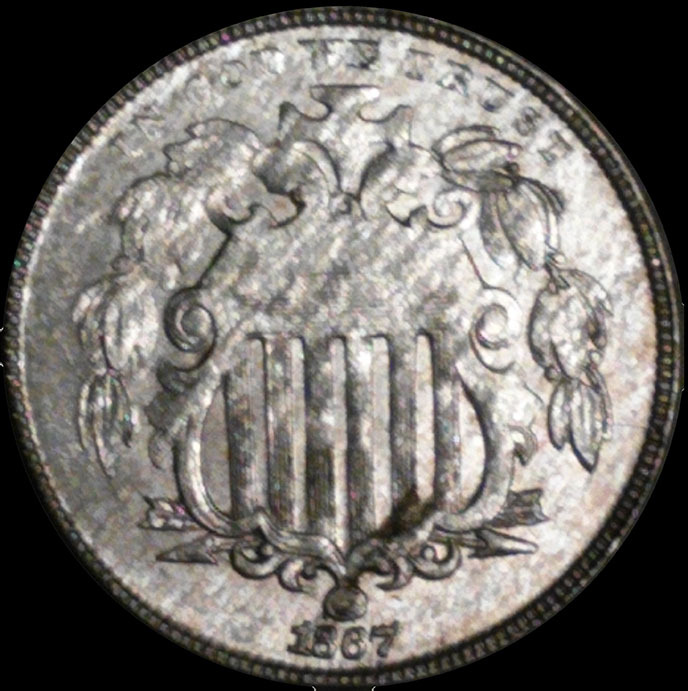 1866WR struck on a very lightweight planchet. 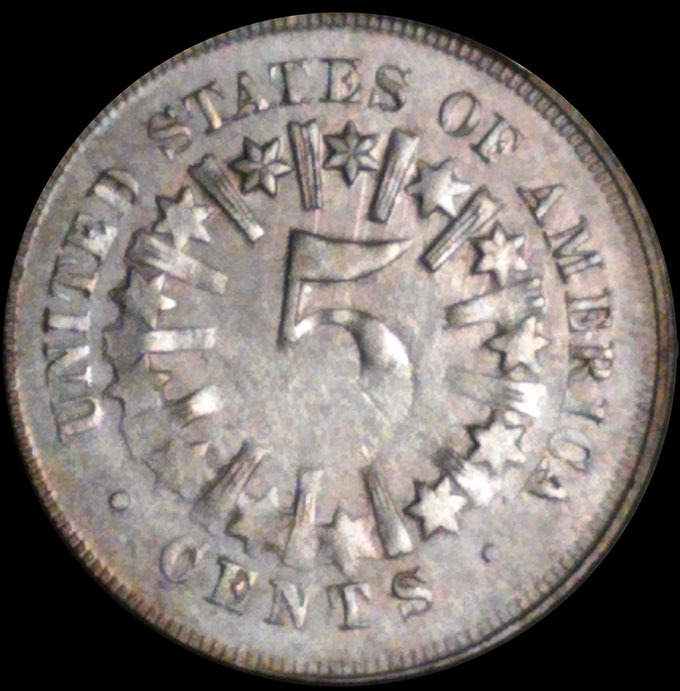 Note the reduced metal flow due lower striking pressure because of the thinner than normal planchet. Weight is correct for being struck on a 3 cent nickel planchet..